Upon arrival at Colombo in the evening, you are received by a Vasco representative and escorted to the hotel. You are welcomed in the hotel in a Traditional Sri Lankan style on arrival and check into the hotel for overnight stay. Colombo is the business and commercial center and the new capital is Sri Jayawardhanapura Kotte, only a few miles away. Colombo was only a small seaport, which came into prominence in the 16th Century with the arrival of the Portuguese in 1505 and the development of it as a major Harbour took place during the British period. Colombo became the capital of Sri Lanka in 1815 after Kandyan Kingdom was ceded to the British.The remains of the buildings during the period of the Portuguese, Dutch and British rule are found in every area of the city. None of the Portuguese & Dutch fortifications are found today but some of their buildings and churches could be seen in the Fort & Pettah areas. Visit Fort, the former British administrative center and military garrison, Sea Street - the Goldsmith’s quarters in the heart of Pettah, the Bazaar area where there is also a Hindu Temple with elaborate stone carvings, the Kayman’s Gate with the Belfry at the original gate to enter the Fort. After breakfast leave for Anuradhapura, en route we visit Wilpattu National Park. This is 508 square miles (131.694 hectares) in extent and was declared as a National Park in 1938. The special feature in this Park is the large number of Villus (lakes) where you can watch wild life and many species of birds. Leopards were the most famous animal in this Park and is famous for its Wild Elephant herds. Spotted Deer, Sambhur, Barking Deer, Wild Boar, Wild Buffalo, sloth Bear, Mongoose, Crocodile and Peacocks are also found here. Dinner and overnight stay is at the hotel. After breakfast we visit Anuradhapura. It was the capital of Sri Lanka from the 05th Century B.C. to the end of the 10th Century A.D. was the most celebrated of Sri Lanka’s ancient ruined cities. The city’s greatest treasures are its Dagobas constructed of bricks and hemispherical in shape. The most notable of these dagobas are the Ruvanveliseya which dates back to the 2nd Century B.C. and is 300 feet in diameter, the Jetawanarama is 370 feet and the Thuparama Dagoba enshrines the collarbone of the Buddha. The city’s most renowned relic is the sacred Bo Tree, which is said to have grown from a branch of the tree under which the Buddha gained Enlightenment. It was planted 2250 years ago and is the oldest historically authenticated tree in the world. Thereafter proceed to Dambulla; which is a vast isolated rock mass 500 feet high and a mile around the base. Here is found the famous Rock Temple dating to the First Century B.C. The caves of Dambulla sheltered King Walagamba during his 14 years of exile from Anuradhapura. When he regained the throne he built the most magnificent of Rock Temples to be found in the Island. In the first Cave is a recumbent image of the Buddha 47ft long cut out of the Rock. There are images of deities associated with Buddhism all around. The frescoes on the walls and the ceiling are the oldest here but they are over painted in the Kandy period. In the Second Cave, the finest and the largest of all, there are 150 life-size statues of the Buddha in various postures with few statues of Gods and Kings. The ceiling is also covered with frescoes, which depict great events in the life of the Buddha and landmarks in the history of the Sinhalese people. After breakfast leave for Polonnaruwa. It is a “World Heritage Site” which was the Capital of Sri Lanka from 11th - 13th Centuries, contains some splendid and spectacular statues. 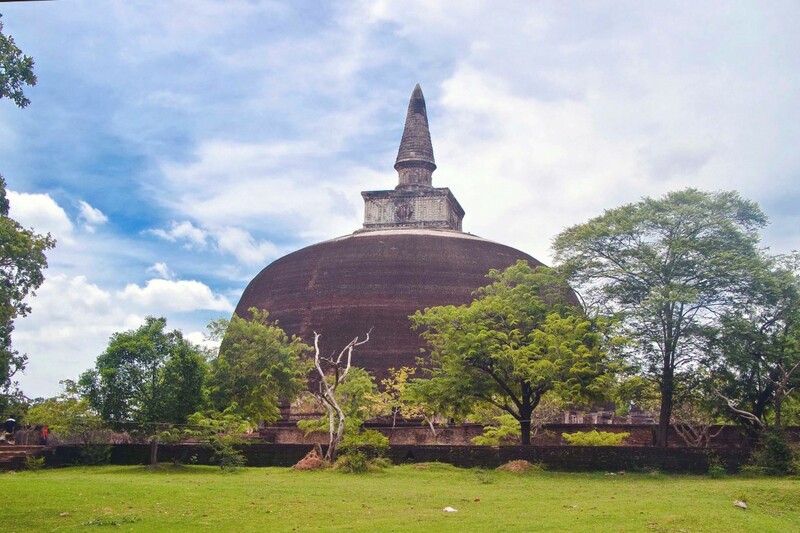 Lankatilake, Tivanka and Thuparama are the most beautiful and largest Image Houses and Tivanka has the best example of frescoes of the Polonnaruwa period. Rankoth Vehera and Kirivehera are well preserved large stupas, and Gal Vihare - a rock shrine, has four Buddha statues, two seated, one standing and one reclining and Parakrama Bahu statue are examples of Sinhalese stone carver. The Vata-da-ge is a unique creation of the Sri Lankan artists. After Breakfast at the hotel leave for Kandy, en route we visit Sigiriya and Matale. Sigiriya is a “World Heritage Site” built during 5th Century. “Fortress in the Sky” which is perhaps the most fantastic single wonder of the Island. It is also known as Lion Rock because of the huge lion that used to stand at the entrance to the Palace on the summit of the 600-foot high rock. On its summit are the foundations of the Royal Palace, Water Tanks to supply water and all other buildings and at the edges the guardhouses. On one of the stairways the only known ancient work of Sinhala secular painting survived in the form of Frescoes of 21 life sized damsels in all the freshness and delicacy of their original colour. The Water Gardens, Fountain Garden, summerhouse, Boulder Gardens and the Caves should not be missed. Next we visit Matale spice garden. You will see many spice gardens at Matale and in Mawanella on the Colombo-Kandy road where Cinnamon, Cardamom, Pepper Creepers and all other spice trees, plants and creepers are planted for visitors to see them. Spice products are also available for those who would like to buy them. At all Spice Gardens visitors are taken round explaining each tree and plant and at the end explaining the use of them food preparations. Afterwards visit a Batik Factory where you can see the manufacture of beautiful Batik prints. There are shops here which contain a wide variety of Batik items. Kandy the hill capital is another “World Heritage Sites”. It was the last stronghold of the Sinhalese Kings during the Portuguese, Dutch and British rule and finally ceded to the British in 1815 after an agreement. To the Buddhist of Sri Lanka and the World, Kandy is one of the most sacred sites as it is the home of the “Dalada Maligawa” - Temple of the Sacred Tooth Relic of Lord Buddha. Close by are the remains of the Royal Palace (MahaWasala), Palle Wasala- where the Queens stayed-now used for the National Museum, Meda Wasala where other close relatives lived, Audience Hall, Natha Devala and Vishnu Devala are situated. The Bathing Pavilion (Ulpenge) is by the Lake and in the Center of the lake is the Island called “Kiri samudraya” (Milk white ocean) used by the kings as the summerhouse. Today it is the center of Buddhism, Arts, Crafts, Dancing, Music and Culture. Visitors can see these Dance & Music at the daily Cultural Performances held at several places in the city. Temple of the Tooth Relic - When King Wimaladharmasuriya I (1592-1604 A.D.) became King in Kandy, he searched for the Tooth Relic and the bowl Relic of the Buddha and found that it was kept at the Delgomuwa Buddhist Temple at Kuruwita, for more than 44 years, hidden in a grinding stone. The King had gone there personally and brought the Sacred Tooth Relic to Kandy in a procession accompanied by the King.The first Temple of the Tooth Relic was constructed by Wimaladharmasooriya I to house it next to the Royal Palace. The Portuguese burned down the 2-floored building and King Wimaladharmasooriya II (1687-1707) erected a 3- storied building to house the Sacred Tooth Relic. It was burnt down once again and a new 2-storied building was constructed by King Narendra singhe (1707-1739 A.D.) and what we see today is the building constructed by him. The last King of Kandy Sri Wickrama Rajasinghe added the Pattirippuwa or the Octagon and it was not a part of the Temple, but a resting place for the King. In the evening enjoy a cultural dance show. Dancers will perform Kandyan dance takes its name from Kandy, the last royal capital of Sri Lanka, which is situated about 120 kilometers from the modern capital at Colombo. This genre is considered the classical dance of Sri Lanka. In Sanskrit terminology it is considered pure dance (nrtta); it features a highly developed system of "tala" (rhythm), provided by cymbals called "thalampataa". There are five distinct types; the ves, naiyandi, uddekki, pantheru, and vannams.The three classical dance forms differ in their styles of body-movements and gestures, in the costumes worn by the performers, and in the shape and size of the drums used to provide rhythmic sound patterns to accompany the dancing. After Breakfast leave for Pinnawala. Roughly 50 kms from Colombo - Kandy road is Pinnawala, where an Elephant Orphanage was started in 1975 to house the abandoned and the wounded elephants. The number of elephants has increased to more than 65 now; including Baby Elephants brought from various parts, as well as the 23 babies born, as a result of the captive breeding programme. The best time to visit is the feeding time from 0930-1000 hrs and 1330-1400 hrs and the bathing time from 1000-1030 hrs and 1400-1430 hrs when all the elephants are taken to the river close by. After Breakfast leave for Nuwara Eliya. This place is also known as ‘Little England’ of Sri Lanka. It is set against beautiful backdrops of Mountains, Valleys, Waterfalls and Tea Plantations. It is supposed to be one of the coolest places in the Island, but it is really just like an English spring day, although the temperature does drop at night. All around Nuwara Eliya you will see evidence of the British influence, houses like country cottages or Queen Ann style mansions. The Victoria Park, in the middle of the town, is a lovely place for a stroll or a picnic and is also good for Birding as you get some rare birds in this Park. Seasons may be absent elsewhere in Sri Lanka, but here you can read them by the flowers, which bloom in the spring (March to May) and the fall (August and September). These are the “seasons” when low-country folk flock to Nuwara Eliya to escape the sea level heat and humidity. There after proceed to Udawalawe. Udawalawe National Park covers an area of 230,821 hectares and was declared in 1972. It is only 115 miles from Colombo via Ratnapura and Pelmadulla. This Park is rich in Elephant population as the Park has about 500 Elephants. Wild Buffalo, Spotted Deer, Barking Deer, Wild Boar, Sambhur, Hare, Mongoose, Crocodile and 30 species of Snakes are recorded. Three Circuit Bungalows are available at Seenuggala, Weheragolla, and Thimbiriyamankada and 2 Camp sites are at Weheramankada and Pransadara. 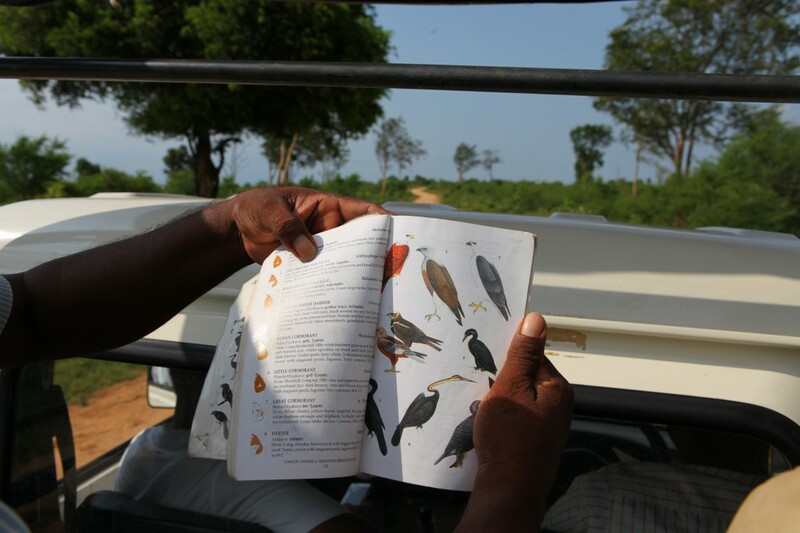 50 species of Butterflies and many species of Birds are found in the Park. After Breakfast at the hotel leave for Ahungalla, en route we visit Galle. Galle is Sri Lanka’s most historically interesting town. It was a major port until about 100 years, but today still handles shipping and sailing boats in the natural harbour. Stroll around the lighthouse and harbour or visit the old town where you can see the traditional lace makers and wood carvers and purchase some of the finest souvenirs. The South Coast’s major city is Galle, whose oldest landmark is the massive Portuguese Dutch Fort which is a “World Heritage Site” in which the central city is contained but the city may be much older. Some scholars believe it to be the “Tarshish” of the Old Testament, to which King Solomon sent his merchant vessels, and to which Jonah fled from the Lord. 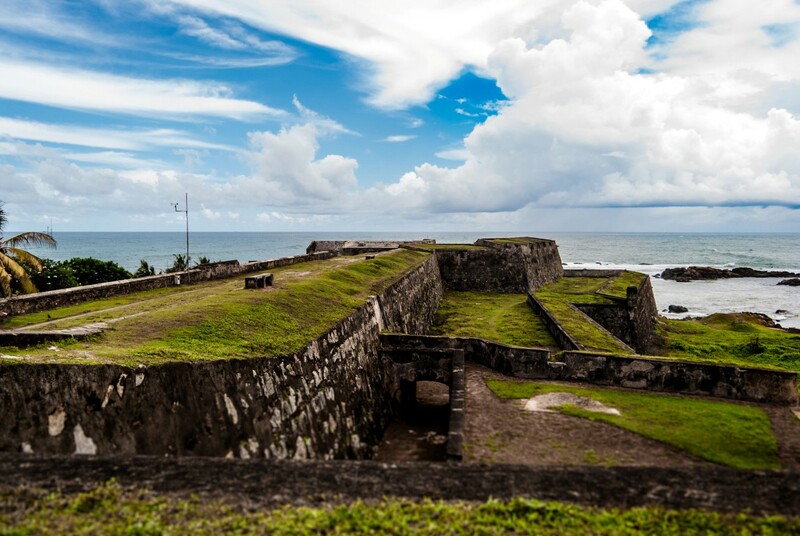 Today, the 90-acre Galle Fort shows no evidence of the Portuguese founders. The Dutch incorporated the Portuguese northern wall in a great rampart in 1663. A second, taller wall was built inside of it. Between the two walls, a covered passage connected the central bastion with the Fort’s two half bastion’s overlooking the sea. The Dutch also installed a sophisticated drainage system, complete with brick-lined underground sewers that were flushed twice a day by the high and low tides. The original gate to the fort was by the harbour. It is still there, marked by the British Coat-of-arms on the front and the Dutch V.O.C. (Vereenigde Oost Indische Compagnie) with the Coat-of-arms with a rooster crest is on the inner side of the Fort. After breakfast in the morning, you have the entire day at leisure. Today after breakfast at the hotel, we drive to Colombo to catch you connecting flight back home. At Colombo Airport you will be assisted by a Vasco representative to help you board your flight.